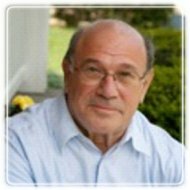 Naperville Therapist: Sheldon Isenberg - Therapist 60540. I'm a seasoned, experienced counselor and psychotherapist who has been working with individuals. couples and families for some 44 years. I and my wife (married 47 years) raised a family and together developed a successful large multi-disciplinary practice which we sold in 2008. We then developed Isenberg Counseling in Naperville where I see clients. Some of my clients are also in a family business together or are executives and professionals seeking to deal with relationships which interfere with business and professional success or where business and practice is deteriorating their ability to have a successful marital and family life. Over these many years I've literally seen thousands of individuals, couples and families. I genuinely enjoy the process of counseling others to get more from themselves and their relationships. Most men and women find I'm personally engaging, a good listener, and understand them. I do offer my opinions if clients want that from me or I think it necessary to deal with barriers of their own making. I believe honest, meaningful conversation about issues is healing. Clients have often said to me that I "got it" in understanding what they are trying to say or have "hit the nail on the head." My goal in working with clients is that they get what they came for and have an "added value" experience as well. Beyond working with most of the usual problems people come to a therapist with (depressed mood, anxiety, anger management issues, life transitions, marital and relationship communication issues) I seem to have developed an affinity for working with those dealing with infidelity, inter-faith, inter-racial, inter-cultural, and spiritual issues. I work well with women and many men (who rarely want to be in counseling) find me easy to work with, especially in my work with couples. Besides mid-life couples, many younger couples find success in their work with me. Couples ranging the human experience over the years have worked with me. I just enjoy working with couples regardless of politics, religion, race, national and cultural origin, and sexual orientation or preferences. I want couples who work with me to have a new learning experience of sharing with each other and living a more effective life. For me, the experience of attraction and becoming a healthy couple is spiritual in it's essence. I am a Licensed and Board Certified Clinical Social Worker and a Clinical Member of the American Association of Marriage and Family Therapists. I received my Master's in Social Work from the University of Chicago in 1967. My website is isenbergcounseling.com.